Oh, I underestimated myself bigtime! Back in mid-February when I signed up for the Australian Women Writers Challenge I was obviously feeling delusional. I should have known from my past reading how often I choose books by women writers and, more importantly, by Australian women writers. My AWWC goal was to read 10 books. Last update I stated that I was rising to the challenge but was yet to reach that target. It turned out that wasn’t quite true. If I’d counted Hannah Richell’s The Secrets of the Tides I would have hit the big 10. Phht. Who’s quibbling? Not me, that’s for sure, because not only have I now absolutely reached my goal, I’ve given it a good spanking! Six of them are by authors I’ve never read before. 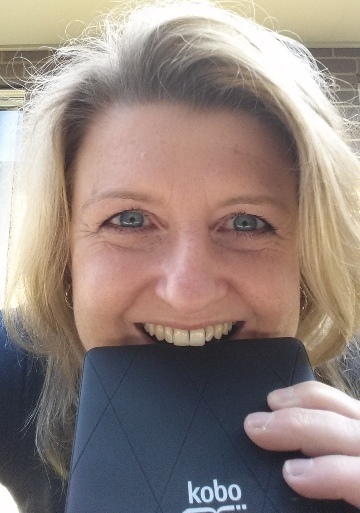 Sarah Mayberry’s two Favourite books were completely delicious. Outback Bride was gorgeous, with a sweet pony and a lizard race for extra fun. The Yearning had some stunning writing as did The Light Between Oceans, although with very different styles. The Mistake was a fascinating look at rural society, while Gather the Bones was simply an amazing story that I think everyone should read. That’s TEN books by Australian Women Writers since my last update, which makes it TWENTY for the year, and with a quick glance at my to-be-read bookshelf there are plenty more to come. So, seeing as it’s only September, can I challenge myself to read another ten books by Australian women authors by the end of the year? If you’d like to know more about the AWWC, check out the website. You can also follow and contribute to discussions on Facebook, Twitter and Goodreads. Sinking my teeth into more great reading! 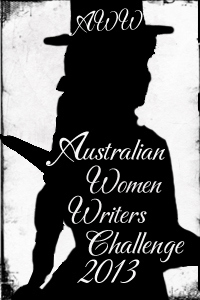 This entry was posted in News and tagged Alison Stuart, Australian Women Writers Challenge, Bridie's Choice, Dark Horse, Gather The Bones, Hannah Richell, Her Favourite Rival, Her Favourite Temptation, Honey Brown, Jaye Ford, Karly Lane, Kate Belle, Louise Reynolds, M.L. Stedman, Outback Bride, Sarah Mayberry, Scared Yet?, The Light Between Oceans, The Mistake, The Secrets of the Tides, The Yearning, Wendy James on September 10, 2013 by cathrynhein.